Nickel & Nickel Harvest 2015 in Seven Words or Less: Early, High-Speed, Small Yields, Intense Flavors. On September 3rd, we picked our first Napa Valley blocks of Truchard Chardonnay and C.C. Ranch Cabernet Sauvignon. In addition to making this one of the earliest harvests on record for us, Mother Nature decided this would also be one of the rare years when we brought both Chardonnay and Cabernet into the winery on the same day. We pick our fruit when the vineyard demands it! As we send this, all but two of our Single Vineyard Cabernets are already off the vine, along with some very tasty Syrah from our Darien Vineyard. We never get much fruit from this Russian River Valley site, but we love this vineyard and the wine it produces so much. Darice says it’s already showing the wild berries and seductive notes of earth and spice that make this red such a favorite. Our Chardonnay and Merlot vineyards have also been picked, and we’re excited to announce that we’ll be welcoming a new Russian River Valley Chardonnay to the portfolio (but more on that later!). 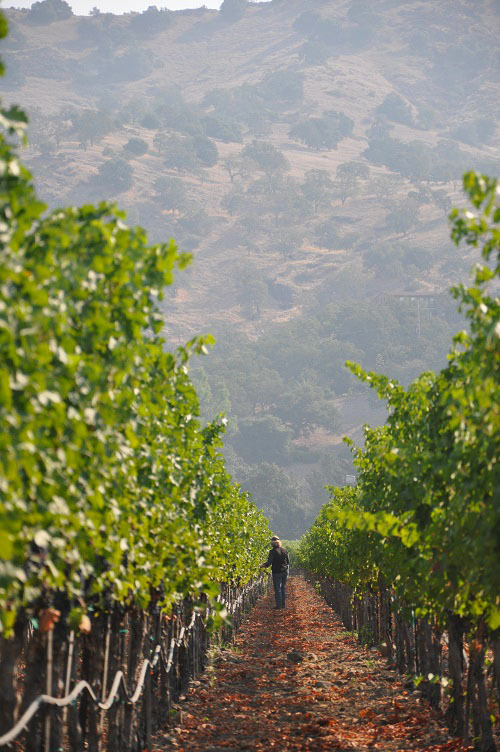 Next week, we’ll bring in fruit from our final two Cabernet Sauvignon vineyards: Rock Cairn in Napa Valley’s exciting Oakville AVA, plus one of our favorite Howell Mountain sites, Beatty Ranch. 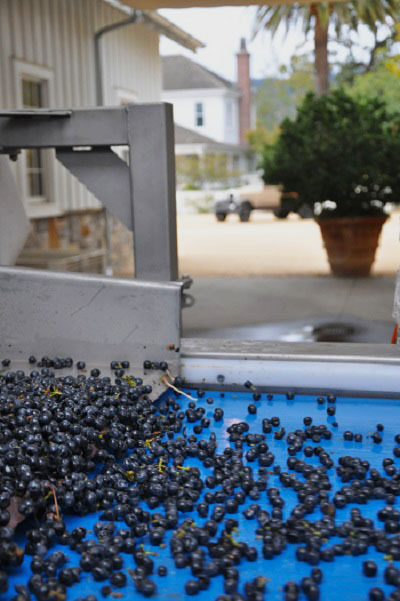 It’s been one of the earliest – and quickest – vintages on record. Although it’s too early to give a thorough profile of the vintage, we can say that yields are small, the wines are developing gorgeous color in the tank, and we’re very pleased with the intense flavors we’re seeing so far. Want to know more about the single vineyard wines that comprise the Nickel & Nickel portfolio? Check out the current lineup here! 2015 John C. Sullenger Vineyard Cabernet, coming down the line!